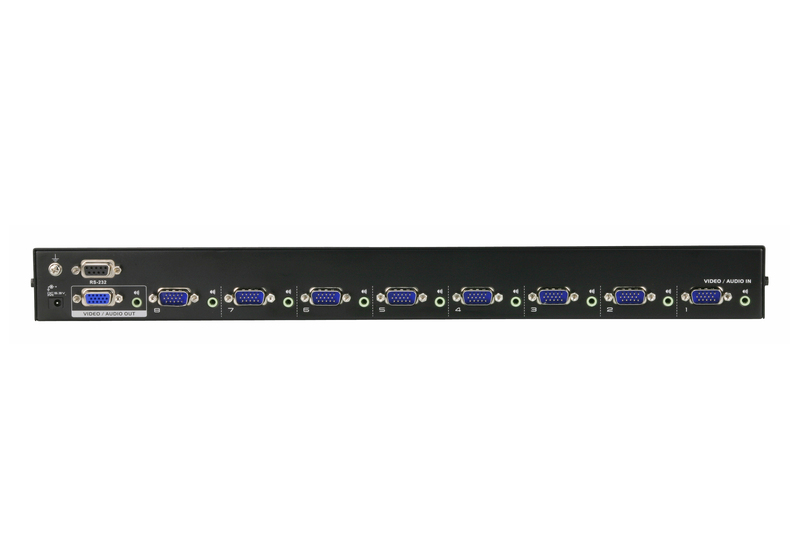 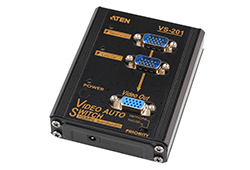 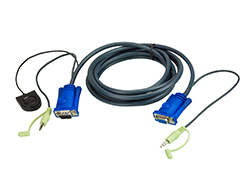 VS0801A built-in bi-directional RS-232 serial port for highend system control, and advanced RS-232 control. 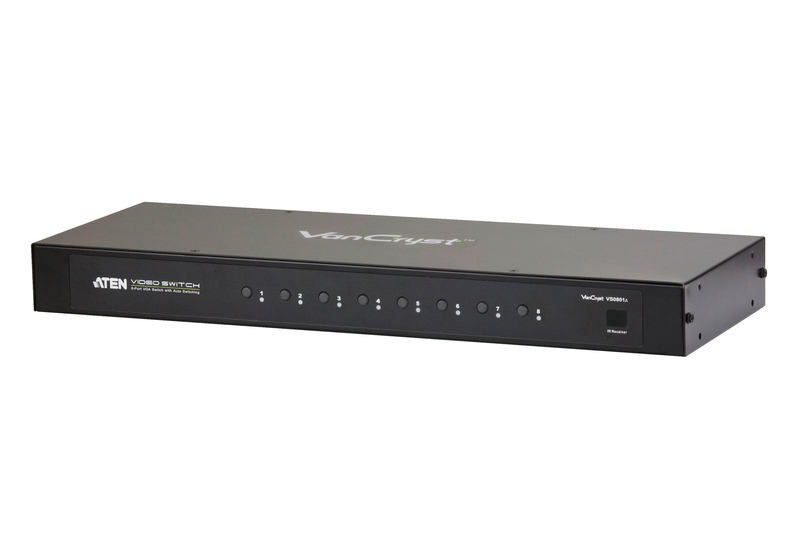 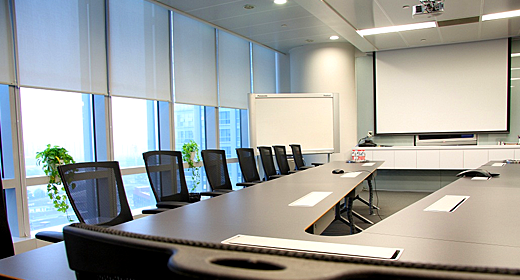 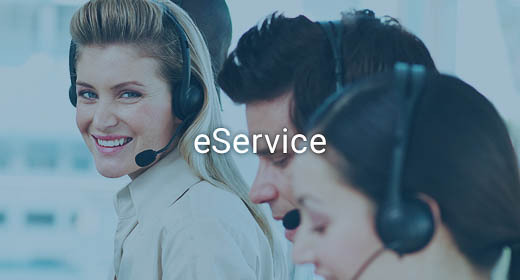 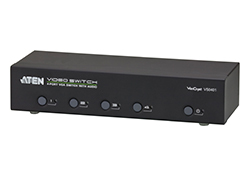 With the ability to use high-end serial control devices via RS-232 commands allows the VS0801A to be controlled by secondary systems with advanced functions such as: Power on Detection,Auto Switching and Pushbutton Lock. 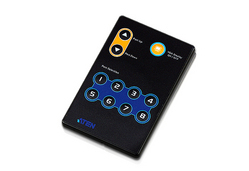 The IR Remote control convenient front panel pushbuttons, and new port switching VGA cable allow you to quickly and easily toggle between VGA/ Audio sources, while the front panel LEDs indicate the source device at a glance.